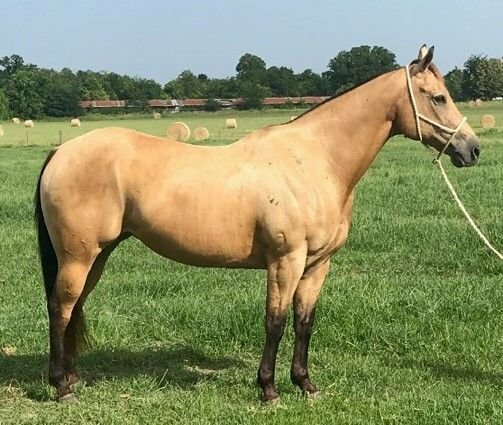 Finished reining 12yr old buckskin mare that stands at 15 hands. 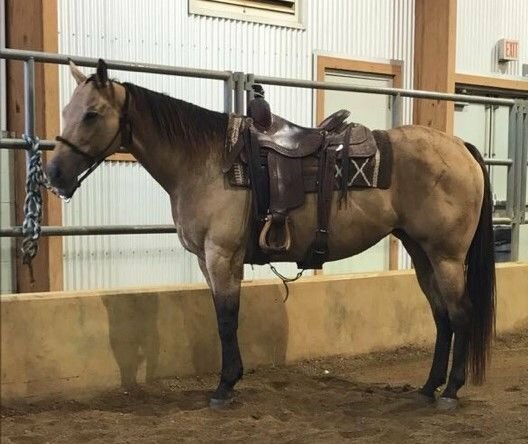 Has been used for collegiate ranch horse shows and has a licence in NRHA, ASHS and ARHA. She has been shown in ranch riding, trail, boxing, pleasure and queens. She can drag logs, rope a dummy and has been trail rode all over. She has been blind in her left eye throughout her show career. It does not bother her in any of the events. This is a great opportunity for someone to get a good deal on a proven performer. Safe and gentle disposition.